The DDH is NOT available for sale from Hitmen. Please don't bother sending any emails to us regarding this topic - you won't get a reply. We do NOT know WHEN or IF the DDH will be released at all. Please keep yourself updated through this website, we don't have the time to answer the same questions over and over again via email. The Story of "Dreamcast Debug Handler" and the "A.G.E. 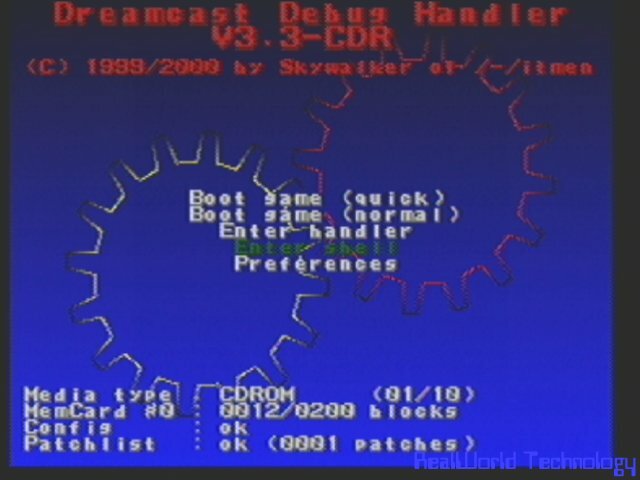 - Demo"
The hardware is currently an interface between a Host (PC/Amiga,...) and the Dreamcast itself, but its designed even to run standalone on the DC to give you the built-in functions without the need of a Host. All functions are menu driven on the DC like an "A*tion R*play" on other consoles. 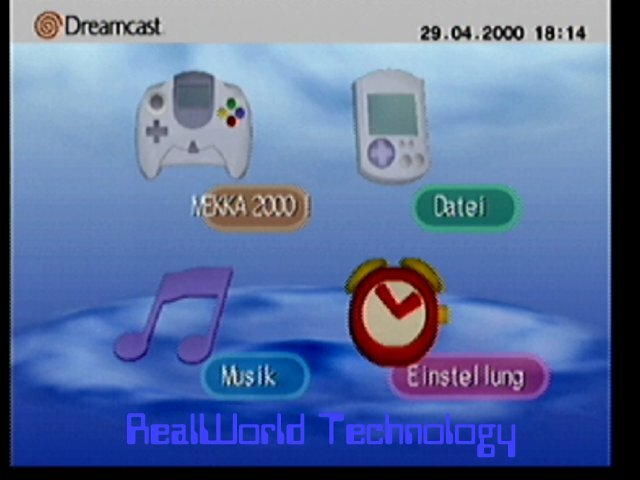 Boot game (quick) Boot up without original Dreamcast animation stuff. Enter handler Establishes link to host (link establish is available anywhere within the DDH menus by just starting the host program). Preferences Enter preferences menu. There are many features which can be easily de/activated within the Preferences menu of the DDH. Media type Type of inserted CD. 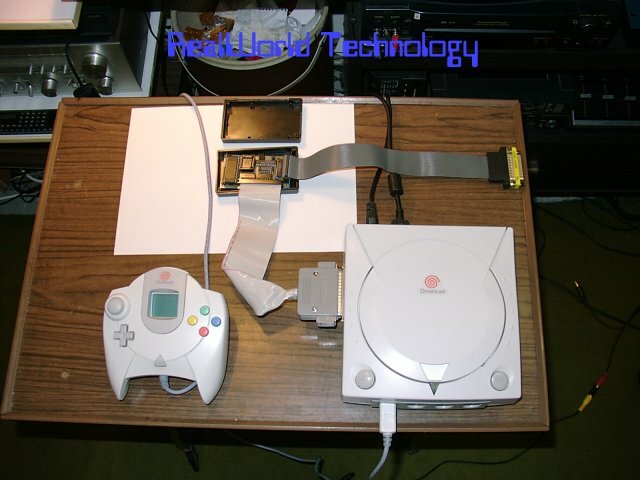 Memcard #0 Free blocks/total blocks of the first VMU inserted in Controller #1. Config Status of loaded configfile from VMU (ok / not ok). Patchlist Status of loaded custom patchfile from VMU (ok / not ok - number of patches loaded). GD debug screen Enable the internal GD debug screen on the main menu (see picture later). (only available on japanese systems right now). Display bootpicture Display an initial bootpicture at startup. Do patches on boot Perform various patches on bootup (internal and custom patches). Start game -> Handler Enables the jump-into-handler routine after pressing "start game" on the DC main-menu. Patch setting number Used for boot stuff. 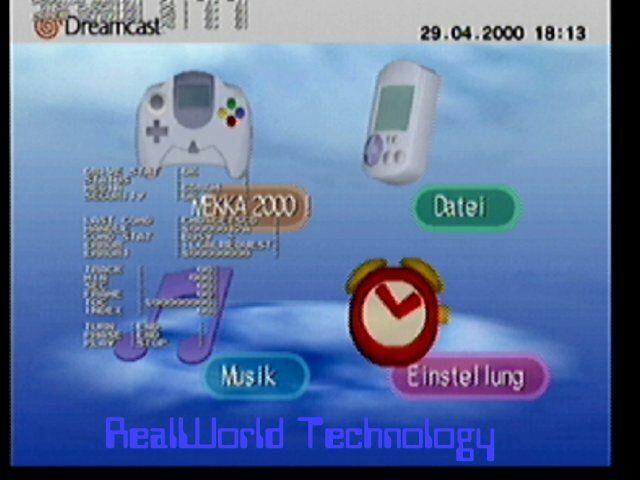 Receive patchlist Get your personal patches from the host and store them on the VMU. Apply patches now Perform the patches right now. Exit preferences Back to main menu. 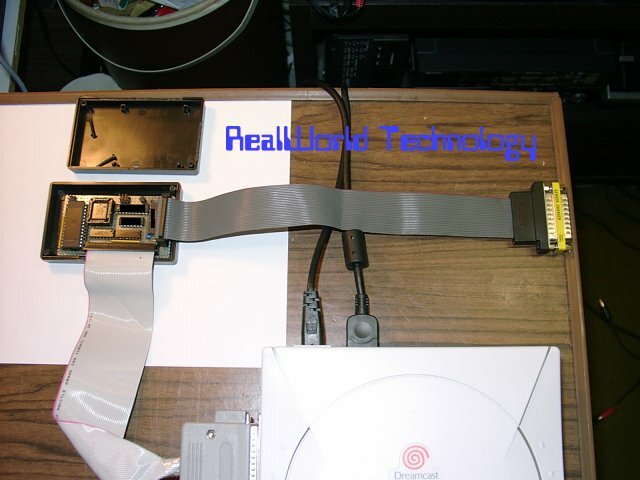 The hardware is currently connected to the Dreamcast using a 50pin SUB-D connector. 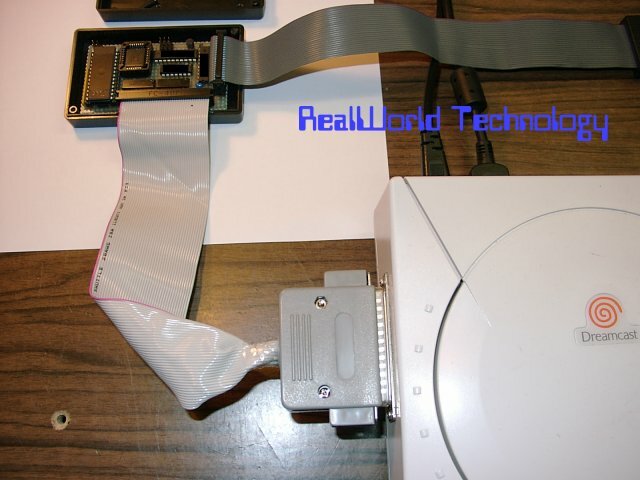 Nearly all pins are used (40), so its quite a little work to solder this connector inside your Dreamcast! The connection between host and DDH is performed using a standard Parallelport. This allows you to easily connect your DDH to a host system which offers a single ParPort, even unidirectional protocol is supported. 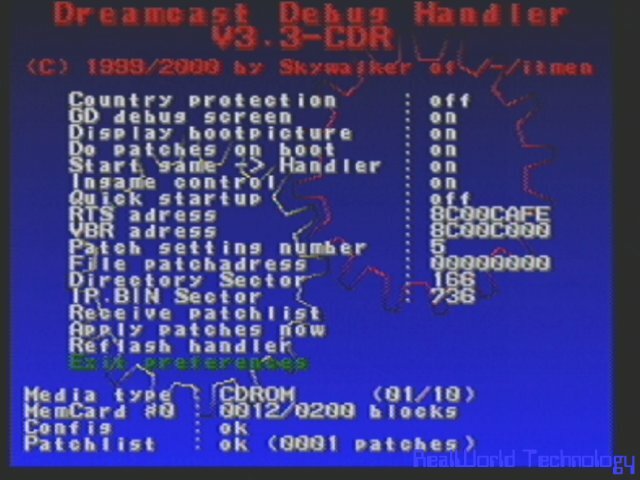 Using this, you have powerful control over your Dreamcast from the hosts side ! "This is the main deck !" Memory dump/edit over the full range. Disassembly over the full range. Up / download of files between DC and Host. Search engine (ASCII / Hex). 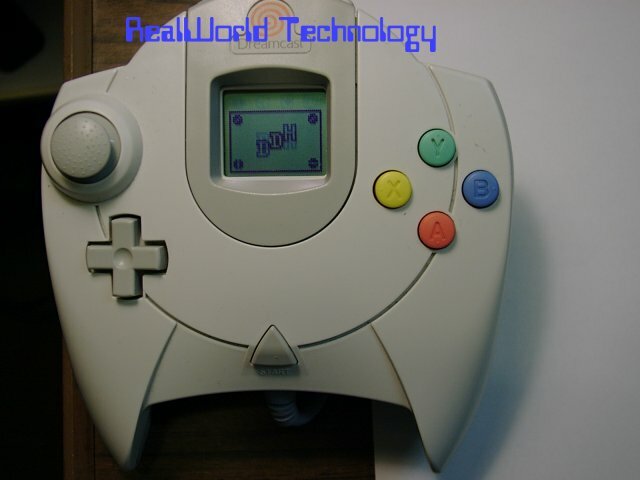 The development is done without any prior information about the Dreamcast (no schematic plans, just a bit of legal information about processor and architecture). The hardware consists mainly of standard parts (no mumbo-jumbo special parts required). Its a hard work to build one of this cards / to do all the connections inside the DC, because everything is done by hand ! So don't expect mass production right now ! Currently i'm trying to improve the hardware to a routed design to offer you the possibility to get one of those systems, but this is still in progress ! To make this possible, you need to set up a few parameters within the preferences menu of the hardware DDH ! All this stuff is in no way licensed nor endorsed by SEGA. 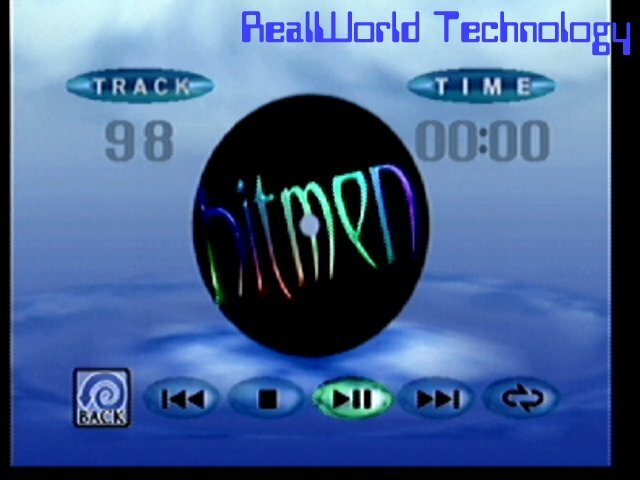 Skywalker of Realworld Technology / Hitmen. The hardware is in fact much smaller than the original one shown on the pics. It has *ALL* the functions like the original DDH. 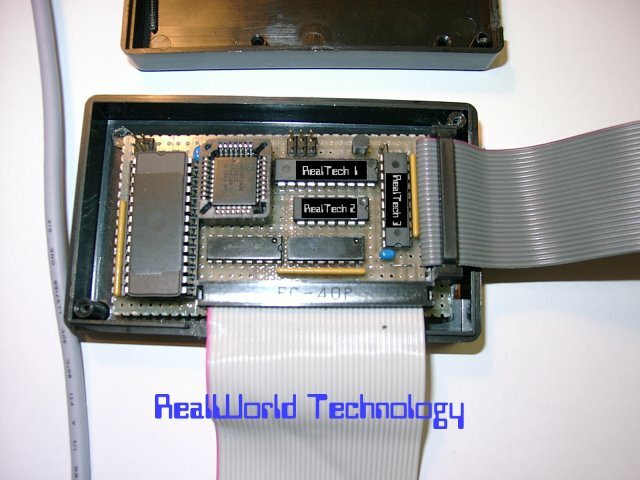 It no longer uses the parallel port but the CommsLink card, which is well known from PSX side. This improves the speed for up/downloading by 200% (!) and makes the HW even easier to build. We need to do some minor tests on this hardware (which i wanted to do this weekend too), but it seems to run stable enough to release. general: The GD track can contain more than 650MB of data - thus it's mainly not possible to copy it! After the release of the CDX package, many ppl think that this will open the door to copies! That's not true ! DC discards the filesystem after booting this CD, and they just restart it by using some special reset- trick to re- enable the GD (!) - filesystem ! GD - not CD !